Looking for a high end gaming laptop with serious flexibility when it comes to the final specification? 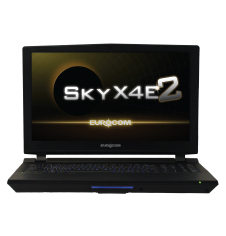 Eurocom claims to have introduced the first notebooks with upgradeable CPUs and GPUs as well as the first 15" laptops and multiple drive RAID set-ups. Bold claims indeed. KitGuru takes a good look under the bonnet.